As early childhood is known to be associated with an increased risk of dental caries, it is vital that parents are educated on the benefits of preventative oral healthcare. With advancements in the production of sealants and fluoride varnishes, tooth decay should not be viewed as inevitability. 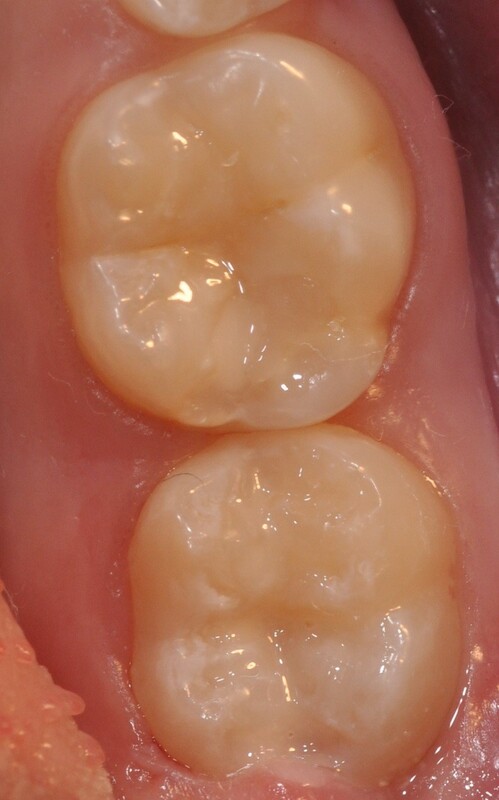 Whilst sealants and varnishes are advantageous for young patients; dental practitioners are faced with a variety of challenges when working with patients of such a young age. An inability to sit still for long periods of time, combined with compliance issues; can mean that results are not experienced to their fullest potential. Recognising these challenges, Ultradent have developed two products; both of which are designed to be appealing to children, ensuring that optimum results are achieved. As the name suggests, Ultraseal XT Hydro contains hydrophilic chemistry; which not only works to actively chase moisture, but also works more effectively in moist conditions. This is extremely advantageous in paediatric dentistry, eliminating the need to pre-treat teeth with drying agents; saving valuable time for both the patient and practitioner. The simplification of this procedure does not come at the expense of quality; as Ultraseal XT Hydro works to efficiently chase moisture deep into the pits and fissures, on a microscopic level. Following application, the sealant only requires three seconds curing with a VALO light, further enabling practitioners to deliver effective treatments to young patients even faster. 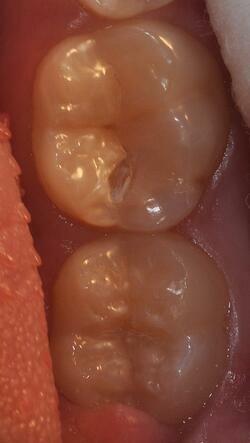 Ultraseal XT Hydro contains unique adhesive technology, securely bonding the wear resistant sealant to the enamel. The resin conveniently flows through the spiral brush tip; smoothly delivering the thixotropic sealant, whilst simultaneously reducing viscosity during placement. Ensuring complete penetration into the pits and fissures, the innovative inspiral brush tip eliminates air bubbles ensuring a tight seal. 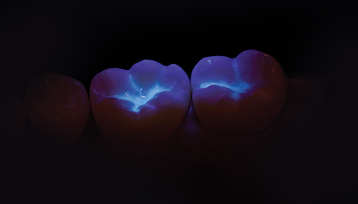 For your ease, Ultraseal XT Hydro, is fluorescent, making it easier to check margins, retention and integrity; both during placement, and at subsequent visits. The highly-filled resin (53%), comes in two shades (opaque white and natural), and can be easily applied for a long lasting final result. For the perfect adjunctive treatment; Enamelast fluoride varnish can be delivered after Ultraseal XT Hydro. Featuring a patented adhesion-promoting agent, the varnish provides enhanced retention; making it easier for young patients to experience the benefits of the varnish to maximum potential. The unique non-separating formula doesn’t require any mixing, saving valuable time for both practitioner and patient. 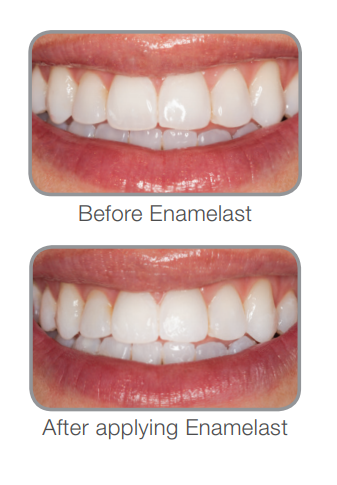 Enamelast boasts a smooth, non-gritty texture; leaving teeth with a natural, smooth feeling (resulting in longer compliance and maximum fluoride ion delivery). Superior fluoride release and uptake is further encouraged by the array of pleasant flavours on offer. From walterberry to cool mint, the delicious flavours, ensure young patients are less likely to wipe off the varnish following application. The colourless formulation, offers a nearly invisible appearance; in pleasant contrast to most of the yellow coloured fluoride varnishes on the market today. Available via syringe delivery or unit-dose blister packs; Enamelast is also easy to apply, ensuring convenient and smooth delivery for both patient and clinician. Delivering highly significant results in terms of fluoride release, Enamalast is ideal for paediatric treatment; strengthening tooth enamel, improving children's oral health. 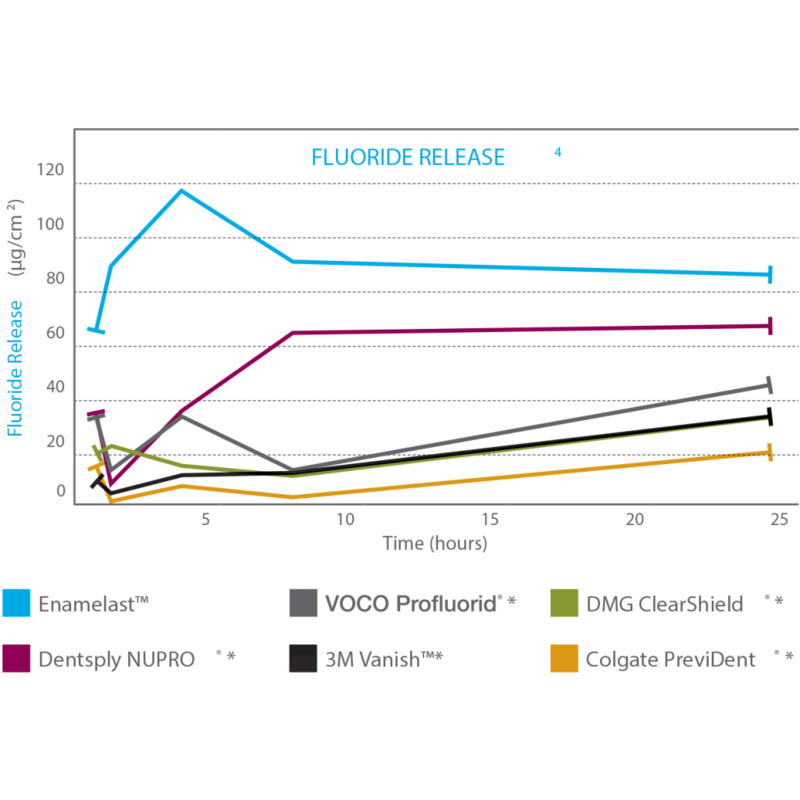 Enamelast shows a higher fluoride release than Dentsply NUPRO, VOCO Profluorid, 3M Vanish, DMG Clearshield and Duraphat (see graph). Combined, Ultraseal XT Hydro and Enamelast, provide a premium solution for improving the oral health of children. Their innovative features are tailored to be of specific use in paediatric dentistry, ensuring maximum compliance, and a successful result, for both patient and practitioner. .Ultraseal XT Hydro is an extremely easy to use hydrophilic pit and fissure sealant, providing excellent protection against caries.